A Russian businessman is appealing a Swiss court’s ruling to pay more than $4.5 billion – half of his assets - to his ex-wife in what has already been branded as possibly the biggest divorce deal in living memory. Dmitry Rybolovlev, an owner of the French soccer club AS Monaco, must pay about 4 billion Swiss francs (just over $4.5 billion) to ex-wife Elena Rybolovleva, a Geneva court ruled on May 13. The Rybolovlevs didn’t sign a marriage contract, and according to Swiss law, all their property is now considered as marital property. Thus, Elena is entitled to half the fortune he made during their marriage. Divorce proceedings between Dmitry and Elena Rybolovlev, both 47, began in 2008 after 23 years of marriage, when Forbes estimated the oligarch’s wealth at $12.8 billion. Elena Rybolovleva demanded $6 billion from the man known as the ‘fertilizer king’, whose fortune from potash mining once made him the world's 79th-richest person, while currently her ex-husband is ranked 147th on the Forbes list. 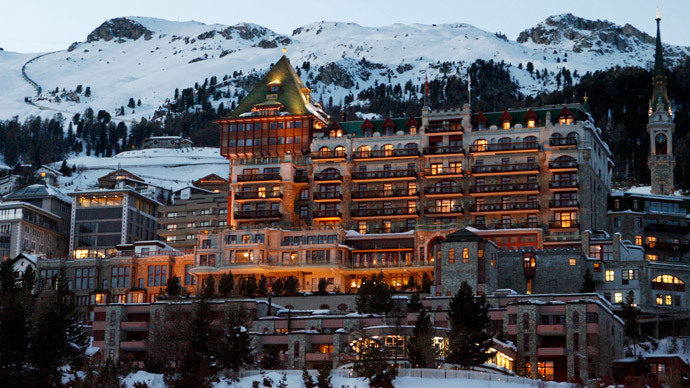 Apart from a huge bulk of the oligarch’s assets, the court granted his former spouse with property worth 130.5 million francs ($146 million) in Gstaad, Switzerland, where the couple owned two luxurious chalets. The ex-wife was also given two other real estate objects in a prestigious area of Geneva, Cologny. Elena Rybolovleva’s lawyer Marc Bonnant called the process "the most expensive divorce in history." "No one — not even a Russian tycoon who put his fabulous fortune into legal structures such as trusts and offshore companies — is above the law," Bonnant and two other lawyers in the case, Corinne Corminboeuf Harari and Caroline Schumacher, said in another statement. The billionaire has already appealed the ruling. His lawyer Tetiana Bersheda pointed out that part of the billionaire’s fortune was transferred into trusts outside Switzerland before his wife could launch legal proceedings in Geneva. “The real stakes of this dispute are abroad and not in Switzerland,” Bersheda said as quoted by the Local on Tuesday. Plus, she said that the settlement is “not definitive” due to the two-level appeal in Switzerland praising the judge for "confirming both the validity of the trusts created by Mr. Rybolovlev and the validity of the asset transfer to them that occurred long before his wife initiated divorce proceedings."